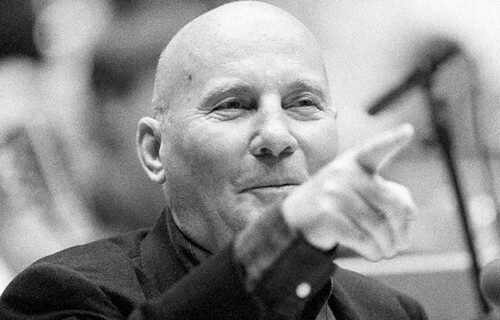 Hans Werner Henze passed away at age 86. One of the greatest, most prolific and influential contemporary German composers, he died Saturday in Dresden, where the Semper opera house recently kicked off a tribute to him with a performance of his antiwar drama We Come to the River, produced in collaboration with writer Edward Bond and first performed in London in 1976.
of six children. Franz Gebhardt Henze, his father who was a schoolmaster became an enthusiastic convert to Nazism after the family moved to Dünne in 1934. Young Hans retained memories of Franz in Nazi uniform, “roaming drunkenly through the woods with his party cronies, bawling out repulsive songs.” He also had to join the Hitler Youth, which he hated. and was able, in 1946, to continue his studies under Wolfgang Fortner in Heidelberg. He left Germany for Italy in 1953 because of a perceived intolerance towards his political Marxist positions, his social engagements, and a climate of homophobia, living more recently in the village of Marino, in the central Italian region of Lazio. which received a lukewarm reception in 1956. The concert hall and the opera houses served as platforms for the exploration of his political ideas and involvement. “He wanted to take a stand on political issues through music,” wrote his publisher Schott, citing among the events that have marked the composer: The Nazis’ Crimes, Second World War, May 1968, and the revolution in Cuba that inspired the oratorio Das Floß der Medusa (The Raft of the Medusa) – dedicated to the Cuban revolutionary Che Guevara. His politics also greatly influenced his Sixth Symphony (1969), Second Violin Concerto (1971), Voices (1973), and his piece for spoken word and chamber orchestra, El Cimarrón, based on a book by Cuban author Miguel Barnet about escaped black slaves during Cuba’s colonial period. In addition to his operas, Henze, is well known for his ten symphonies (1947 – 2000), among them Sinfonia N. 9, completed in 1997 – a choral symphony based on Anna Seghers’ The Seventh Cross a novel which reflected his anti-fascist convictions. Sir Simon Rattle with the City of Birmingham Symphony Orchestra premiered his final symphony completed in 2000. Henze also wrote several concertos, among them Requiem a cycle of nine sacred concertos for piano, trumpet and chamber orchestra in memory for his friend the visionary director of the London Sinfonietta Michael Vyner, who died young, as well as numerous pieces of chamber music. His film music includes scores for French director Alain Resnais and German director Volker Schlöndorff. the tone poem Sebastian Dreaming. He maintained relationships with other American institutions as well, including the Boston Symphony, which commissioned his “Eighth Symphony” (1992 – 1993), and The Tanglewood Music Center originally The Berkshire Music Center in Massachusetts, where he was composer-in-residence in 1988. He also held several academic posts, at the Royal Academy of Music in London, in Austria, Cuba, the U.S., and Germany. A tireless musician, in 1976, he founded the Cantiere Internationale d’Arte in Montepulciano for the promotion of new music, where his children’s opera Pollicino premiered in 1980. 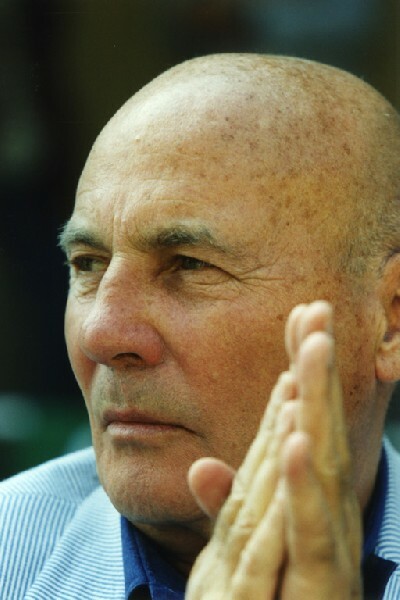 In 1981, he established the Mürztal Workshops in the Austrian region of Styria, the same region where he set up the Deutschlandsberg Youth Festival in 1984. In 1988, he created the Munich Biennale as an “international festival for new music theatre,” of which he was the artistic director. He also served as composer-in-residence at the Berlin Philharmonic. of Henze’s own composition is a memorial to his longtime partner. and some rock or popular music. Prodigality of invention, willingness to take risks, and devotion and constancy to an ideal of beauty that can be detected and recognized at the heart of each of Henze’s works are qualities for which to be grateful. His Janus-like persona epitomizes the enigma of post-Nazi Germany and the music of the romantic modernism of the late 20th century. I am eager to listen to his more recent opera Das Verratene Meer, Venus und Adonis (The Sea Betrayed, Venus and Adonis) with its portrayal of Adonis, the legendary hero of my forebears’ ancestral land, Byblos, Lebanon.